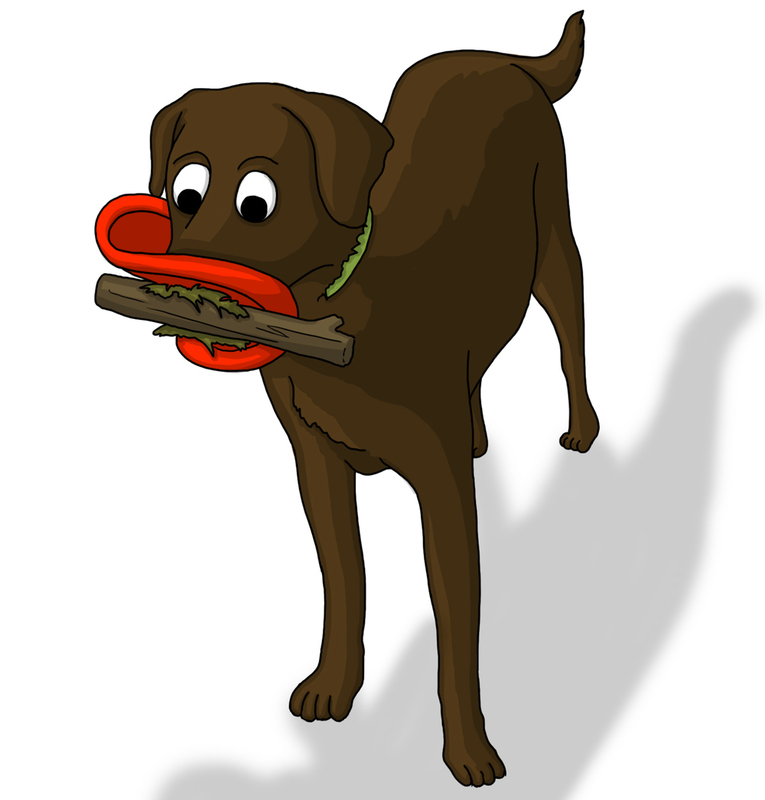 It's spring and Finn has taken to picking up his red rubber frisbee in the middle and using it as a huge pair of lips to pick up other things in the yard like his bone, clumps of grass, and small logs. It's hilarious and adorable. I laugh every time, which is probably why he keeps doing it! I wrote 'Farquharson' as his last name but now I wonder... does Finn have my last name or Jay's? Is he more of a Hunt or a Farquharson? He might be more of a Farquharson because when he knocks something over or does something wrong, he never thinks it's his fault. That's kind of a classic Farquharson trait. He loves naps, food, and checking out what the neighbours are doing. Those are all Farquharson traits. But maybe for he sake of diplomacy, we'll say he has no last name.